When an area code runs out of numbers, we just overlay a new area code and keep assigning numbers like nothing happened. With the global proliferation of Internet-connected devices, the Internet (and its current addressing system, IPv4) is running out of addresses. Unlike phone numbers, it can't be extended and must be replaced. Enter IPv6: a supercharged version of IP that's faster, safer, and gives us enough addresses to connect everyone on not just every continent, but even other planets. While IPv4 isn't going anywhere, new Internet connections (and new servers) could be IPv6-only, including all 4G/LTE phones. This means users will be connecting to your servers either very slowly or not at all! Give Vectro a call. You might not understand these IP numbers, but our engineers are trained to handle IPv6 deployment with ease, and will make sure that your business stays connected to the entire Internet. We're cooking with both flavors. 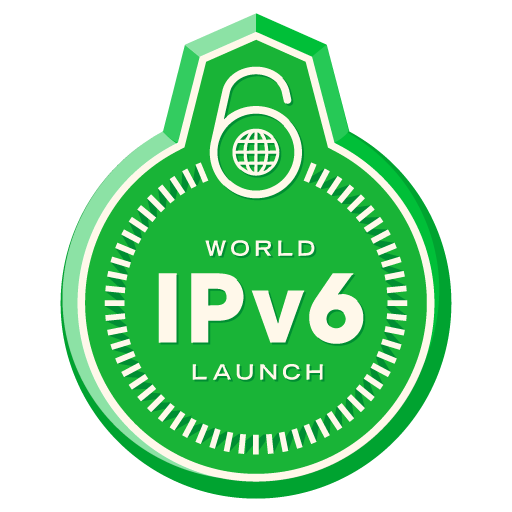 Our own office participated in the World IPv6 Day and the World IPv6 Launch. Let us deal with your IP numbers; you keep focused on your sales numbers. Nothing! Windows Server 2008/2012, Windows Vista/7/8, Mac OS X, and iOS fully support IPv6, as do most new printers, switches, and Android devices. Everything else will still work fine over your existing IPv4 network for the foreseeable future. Why should your business worry about IPv6? IPv4 addresses are exhausted, limiting your company's growth. People with only IPv6 cannot see your site. Modern operating systems prefer IPv6. Doesn't require costly network upgrades. Coexists with existing IPv4 connectivity. Do you want your Web site to only be available to part of the Internet? Do your employees need to check their email from outside the office? Can your employees work with only some of the Internet available? Are you having trouble with VoIP, video conferencing, and other P2P applications? Do you plan to be in business after 2013?